Let’s take a walk to Jalan Braga. One of the historic and famous street of the past until now. If you are to Bandung, time to pass it. What makes this street so legendary? 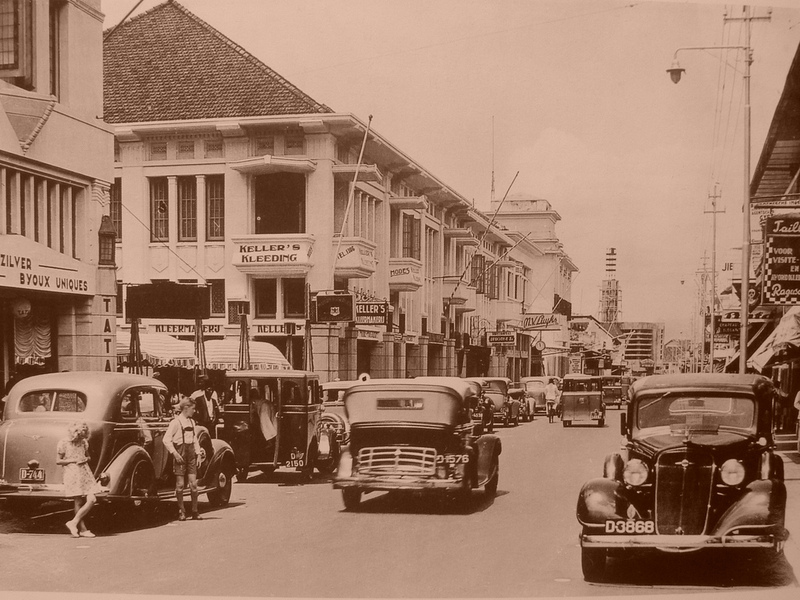 Historically, the first time the Dutch colonial era, these street belong to the path of the elite. Where shops along the street stand that sells clothing, household equipment and exclusive in its time. 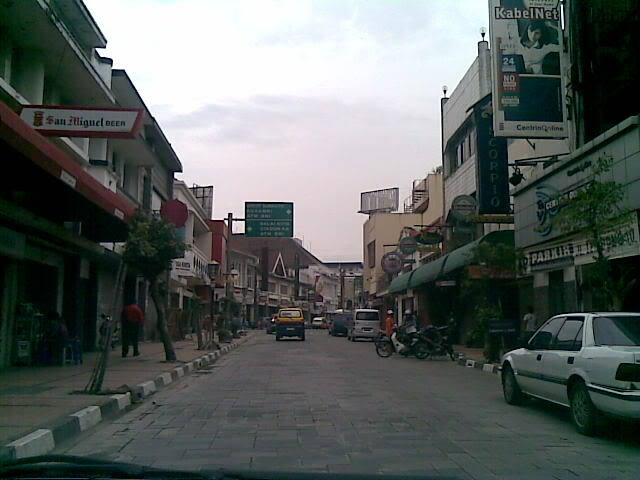 While the layout mimics the layout of shops in Europe at that time (1920-1940s), where as the city of Bandung, including fashion, like Paris. Up comes the famous phrase “Parijs van Java”, meaning: his Paris of Java. But earlier, Braga road started with a small, quiet street, and prone. But the Dutch merchants at the time to make this place as a business opportunity. They began to open bar, entertainment and shops. Boutiques began popping up (1920-1930s), with a complete collection of trend-oriented clothing Paris at the time. But on the other hand, appear nightlife, and red-light districts. And this is of interest to foreign tourists, and led to the term of Bandung as the city flower. 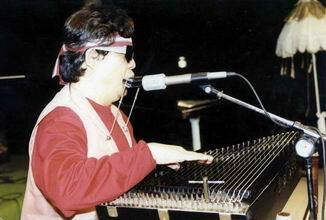 Real name is Supeno, who was born in Medan, North Sumatra. Because it has long been singing in Braga, and become “icons” Braga at the time, he was called to the stage in JakJazz Festival in the 1990s. Then a few other achievements are, collaborating with artists such as: Miss Titik Puspa, Sam Bimbo and Wandi. Now I never again heard Braga Stone. But the rumors, he had been stopped from singing, and has lived more feasible. 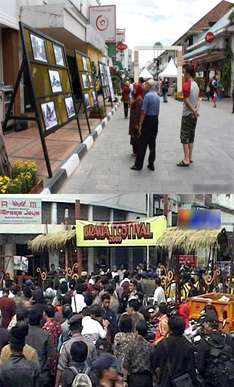 To preserve the history and culture of Sunda, particularly Braga’s historic landmarks, the government of Bandung endorse them in a festival: Braga Festival. This event is held once a year. Contains Sundanese art exhibition, art exhibition goods, handicrafts and agricultural products in Tatar Sunda (Sunda land). It is expected that with this effort, Braga will always be one of the historic tourist attraction that is always of interest to public. Now the road Braga, might be, no “as famous as the” first time. But the Government of Bandung still trying to preserve the environment following this road, as historic and cultural assets of our beloved city. This entry was posted on Saturday, October 2nd, 2010 at 5:08 pm	and tagged with Braga, Braga Festival, Braga Stone, Kota Kembang, Parijs van Java, Paris and posted in History, Places. You can follow any responses to this entry through the RSS 2.0 feed. Good day!This was a really quality theme!